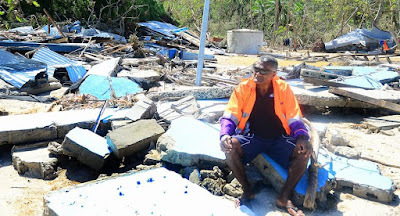 Sea Mercy Fiji: Cyclone Winston Disaster Relief and Recovery Updates: MANY IN THE REMOTE ISLANDS AND VILLAGES STILL IN DIRE NEED 6 WEEKS LATER!! MANY IN THE REMOTE ISLANDS AND VILLAGES STILL IN DIRE NEED 6 WEEKS LATER!! As time passes and the news coverage of Fiji dwindles, please do not take this to mean that life in Fiji is back to normal!! Some remote villages and islands have yet to receive any aid and even those that have received aid are still in great need of help to survive next few crucial months. We recently received this picture of the kitchen of a school in the interior of the Ra District. The school serves 247 students and everything you see in the picture is all the kitchen equipment they have left. The dorms were flooded and all the bottom bunk mattresses were destroyed. A New Zealand relief organization has just committed to replacing the mattresses, but they will still need bedding, sheets. pillows etc. They are also badly in need of childrens clothing. Our contact, Donna Quinn, has also told us the school is off the beaten path and she has been out there a couple of times with the last being Thursday. She saw no sign that anybody had been there with first relief and also passed along the report of a fatality. A little girl ran from a collapsing house during the storm and was killed by flying debris. We plan to take what we think they urgently need and do a further assessment while on site. This is just one example of the many people who are still suffering from the aftermath of Winston and have not been able to get the help they need. 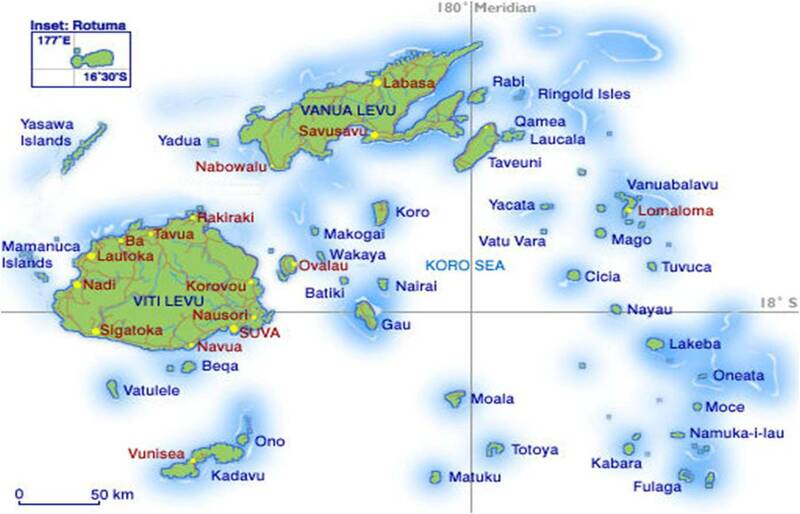 In addition, Fiji is currently experiencing heavy flooding from new storms. The need is still great!! Please continue to help Sea Mercy by donating your money, time or goods(in Fiji).